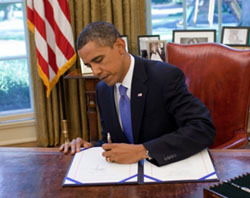 President Obama revised 2001 faith based initiatives established by President George W. Bush with "Fundamental Principles and Policymaking Criteria for Partnerships with Faith-Based and Other Neighborhood Organizations" on November 17, 2010. Catholic organizations like Catholic Charities, hospitals, clinics, assisted living organizations, adoption agencies would do well to review their policies and practices to see if the present policies cohere with what the President has set down in the executive order since there are some serious potential conflicts. Serious points of contention will likely be around the providing of religious services, counseling rooted in faith and to what degree you can apply pastoral practice to the workings of the agency. The secularists are already jumping for joy with the new amendments because they want more restrictive policies and stringent policies of accountability for the use of monies and practices by faith-based organizations. Having said all this, though, clarity of what can and cannot be done are helpful since they establish rules of engagement. Clear to all reasonable minded people, religious freedom needs to be respected. And we Catholics will hear more about religious freedom in 2011 with Pope Benedict addressing the issue of religious freedom at significant events like world youth day. The Pope is very clear that we propose and not impose our faith in Christ, even with those who claim to be Christians. Continue reading Obama's new rules for Faith-Based Initiatives. Just back from Mass for the Faithful Departed and from voting. Have you prayed and voted??? The other day the New York Times published a graph showing, according to polls, that Catholic voters pose a serious problem for tomorrow's election. Interesting. The red bar demonstrates that a 24% lead for the Republicans among US Catholics. Remember, Catholics voted for Barack Obama, 54-44% in 2008. No poll tells the whole truth and, in my are barely an indicator of what is really thought by those polled. This poll is no different. 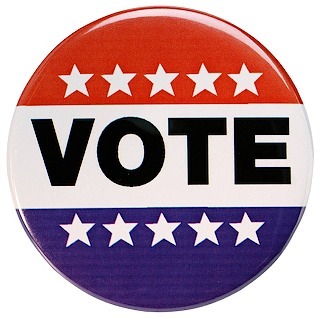 However, if the pollsters are remotely correct, Catholics could lead the way to change in the November 2 election from Democrat-to-Republican. Let's be honest: Catholics are no different in their voting patterns than the general public. Sad but true. And I find this fact to be a disappointing fact. Discriminating who these Catholics are as active (or non-active) is curious. The polls tell us that weekly church-going Catholics in 2008 did not vote for Democrats, more or less. This page is a archive of entries in the Faith & the Public Order category from November 2010. Faith & the Public Order: October 2010 is the previous archive. Faith & the Public Order: December 2010 is the next archive.